I was pretty shocked to discover that Khruangbin is just a little band from Texas. I first discovered their track “A Calf Born in Winter” on Bonobo’s Late Night Tales compilation and was hooked by their gorgeous reverb-sapped guitar tones. When I dug a bit deeper into the band’s catalog and heard their more Daptone-influenced soul grooves, I was double-hooked. Something about their ethereal sound and instrumental grooves lent them an air of mystery. Reading that the members are influenced by ’60s Thai funk* gave them an exotic flair. Their latest EP, History of Flight (appropriate given their name translates roughly to “aeroplane”) is a compilation of four covers. It kicks off with “Il Clan Del Sicilani,” which gives off strong spaghetti western vibes (I was not surprised to learn it’s a song by Ennio Morricone.) The selection also includes “Ha Feng Kheng Kan,” a Thai pop song that seems to be the source from which Khruangbin’s river of influences flow. Next is a more upbeat, almost-sunny rendition of Serge Gainsbourg’s “La Javanasise.” The album’s closer, a cover of “Firecracker” by electro-pioneers Yellow Magic Orchestra, immediately put a big smile on my face as its Motown groove juxtaposed against that definitively Japanese melody is such a perfectly offbeat pairing. 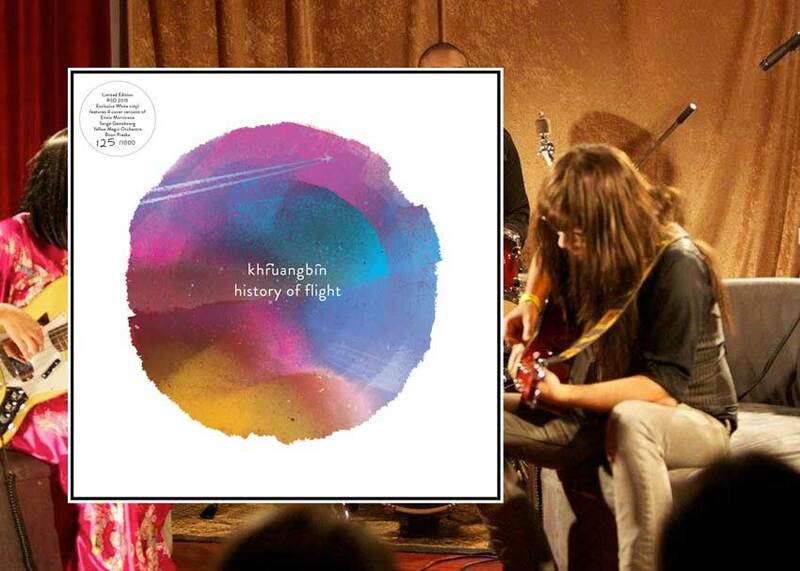 Though it’s a selection of exclusively covers, History of Flight is drenched in Khruangbin’s rich guitar tones and tight bass and drum rhythm section, which fully takes the opportunity to groove on these tracks. *I am not at all familiar with ’60s Thai funk, but now have every intention to check it out.